Listen. I don’t even like banana cream pie, but after watching the Christina Tosi episode of Mind of a Chef, I decided to give it a try. I officially love banana cream pie now. This version of it, anyway. 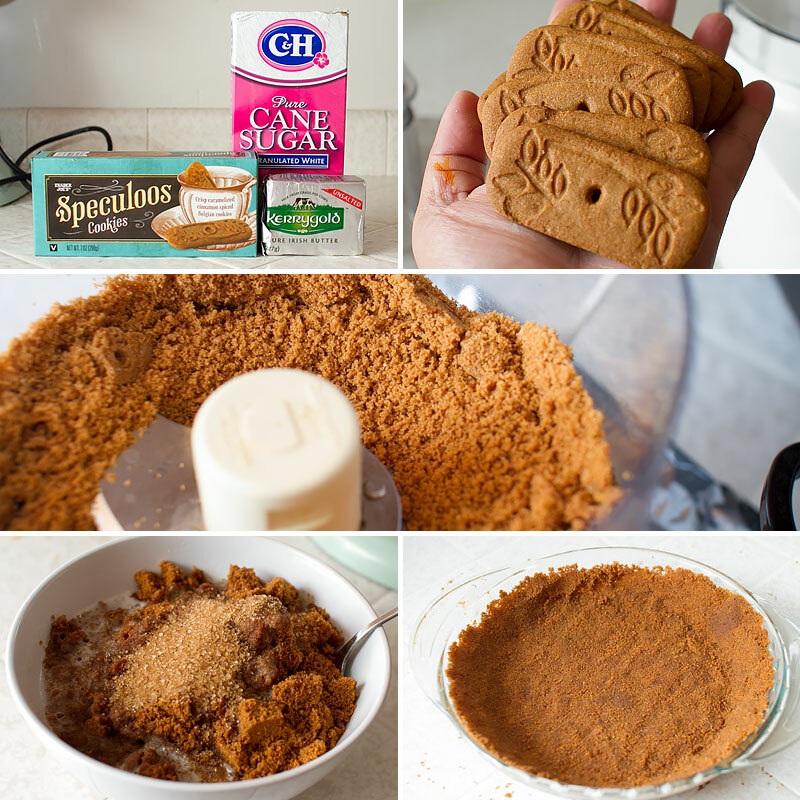 Instead of using a chocolate cookie crust as traditionally used in Momofuku’s version, I decided to use Speculoos cookies, because I love them. This recipe also uses a large amount of food coloring; where a few drops would usually suffice, 1/2 tsp is needed to offset the color of the overripe bananas. You’ll need to do a little pre-planning to make this because you’ll need super duper ripe bananas. Black bananas. 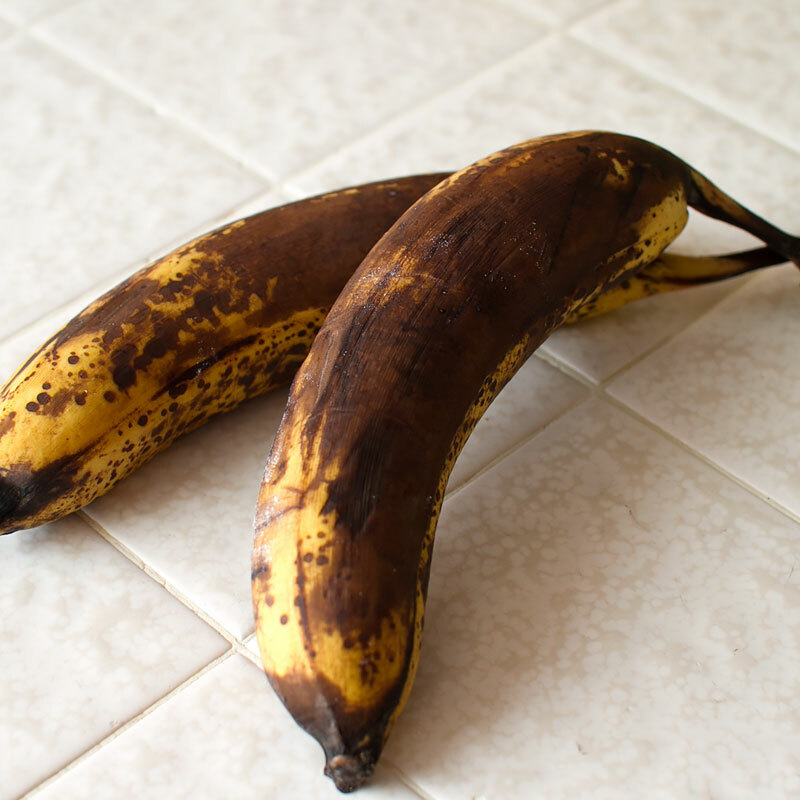 Overripe bananas. This is when the bananas are at their most… banana-y. Waiting around for them to ripen was worth the fruit flies, but if you don’t want to wait that long, place the bananas in a brown paper bag. That should help speed up the ripening process. You’ll need speculoos cookies, sugar, butter and salt (not pictured). Pulse the cookies in a food processor until the texture is fine like sand. Discard any larger pieces. Toss the crumbs with salt and sugar. Add in melted butter and combine until the mixture forms a ball. 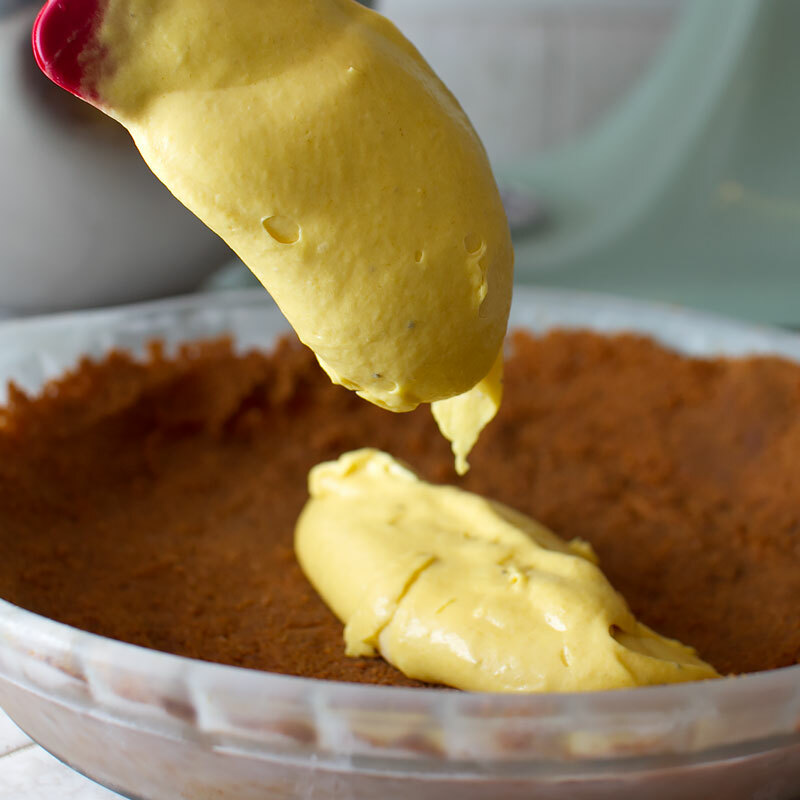 Use your fingers and the palms of your hand to press the mixture into the pie plate. Cover and place in the fridge until ready to use. For the filling, you’ll need heavy cream, milk, cornstarch, sugar, yellow food coloring, egg yolks, 2 overripe bananas, 1 perfectly ripe banana, and butter. To get the best flavor, you really do need overripe, black bananas. 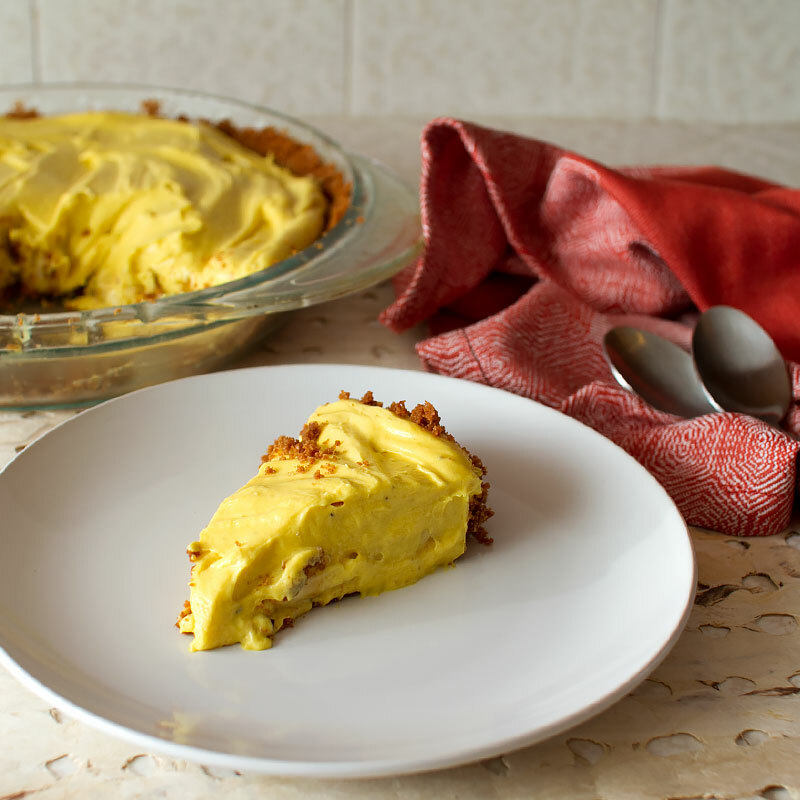 Although not ideal for eating out of hand, pureed overripe bananas are the heart and soul of this pie! Combine the 2 overripe bananas with heavy cream and milk; puree until completely smooth. Add in sugar, cornstarch, salt and egg yolks. Place the mixture in a medium sauce pan over medium-low heat, stirring constantly. Once the mixture begins to boil, whisk vigorously and cook another 2 minutes. 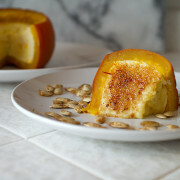 Combine the thickened banana cream base with the bloomed gelatin, butter and food coloring. Blend until combined. I know this is an alarming amount of food coloring, No one wants to eat a gray pie, so it’s necessary. 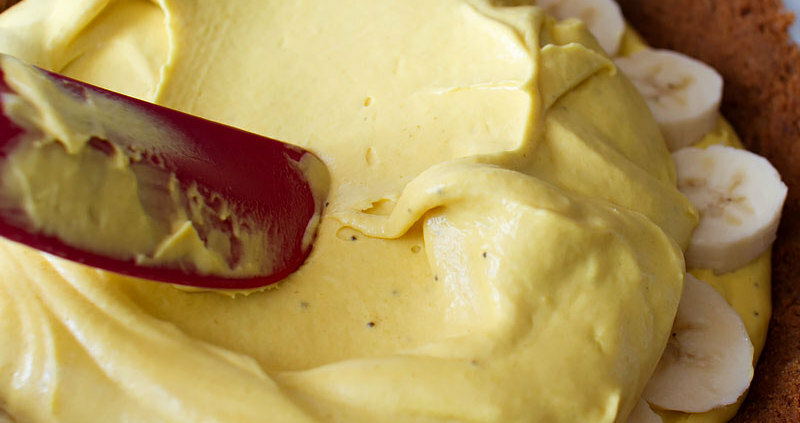 Once this banana cream base is combined with the whipped cream, the color will lighten – basically it won’t look so toxic lol Cover the mixture with plastic wrap and chill until completely cooled, about 45-60 minutes. Once the mixture has cooled completely, whip the remaining heavy cream with the confectioners sugar until soft peaks form. 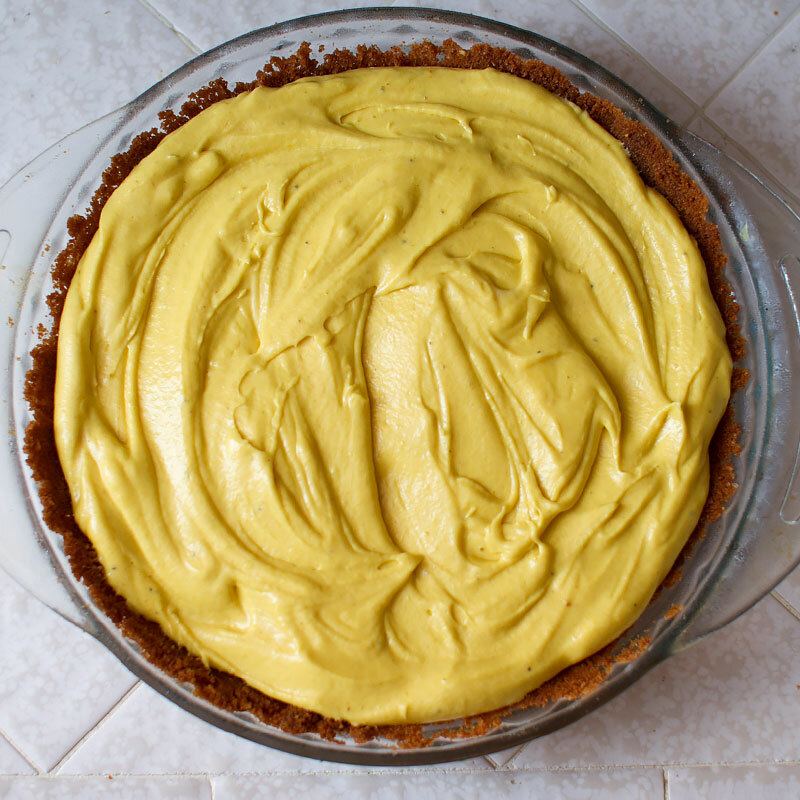 Add in the banana cream base and mix on low until completely combined and the mixture is light yellow. Place half of the filling into the crust. 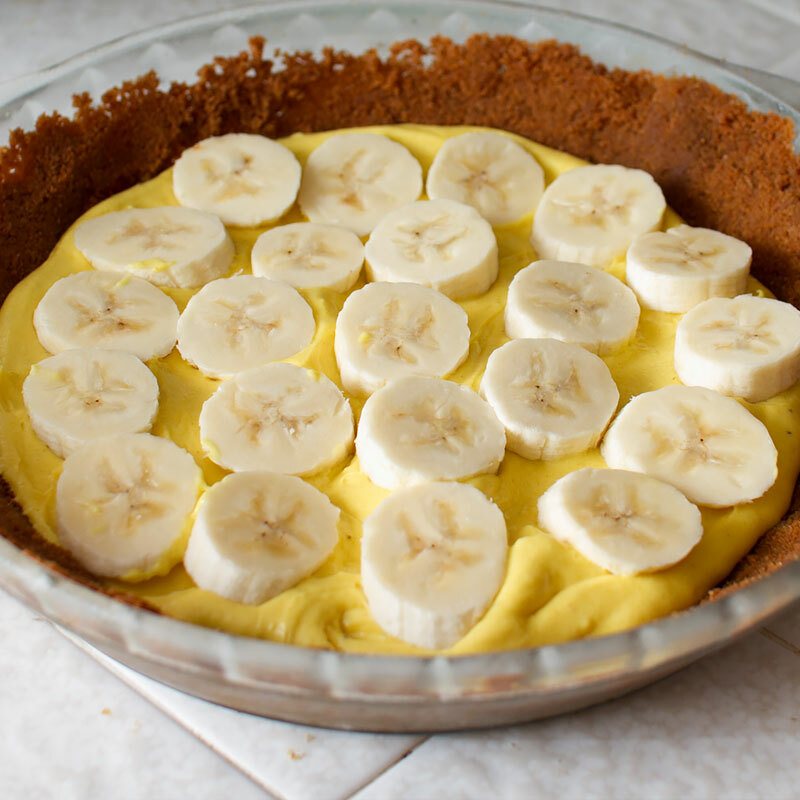 Slice the remaining perfectly ripe banana and add in a single layer on top of the filling. Lick the bowl the filling was in (don’t skip this most necessary step). That’s it! Keep chilled until ready to serve, but eat within a day (it won’t last that long). Slice it up and serve. I really didn’t even want to slice it, i wanted to stand over the pie plate with a spoon and motorboat my way to the crust, but alas… #manners. Pulse cookies in a food processor until they are the texture of sand and there are no larger chunks remaining. Place in a medium bowl and stir in sugar and salt. 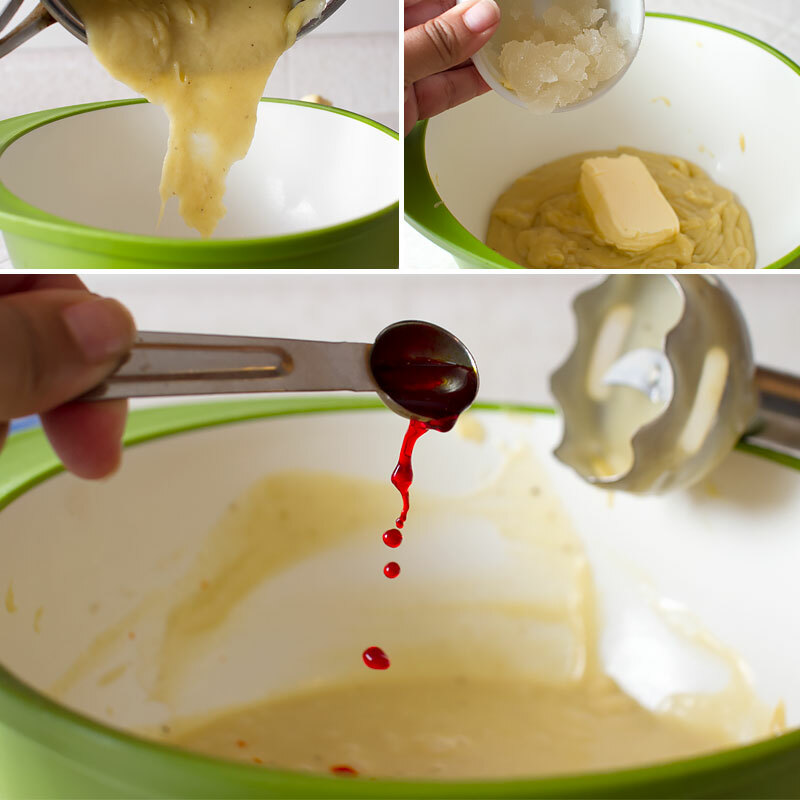 Add in melted butter and work into the crumbs until the mixture comes together into a ball. Add additional melted butter if necessary. 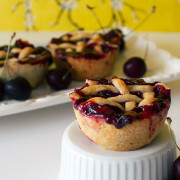 Place the cookie crust mixture in a 10-inch pie tin. Using your fingers and the palms of your hands, press the cookie crust firmly into the tin, making sure the crust is evenly distributed across the bottom and up the sides. Cover tightly in plastic wrap and let the crust chill in the refrigerator while you prepare the filling. In a medium bowl, combine the two overly ripe bananas, 1/3 cup of heavy cream, 1/4 cup of milk and puree with an immersion blender until smooth. 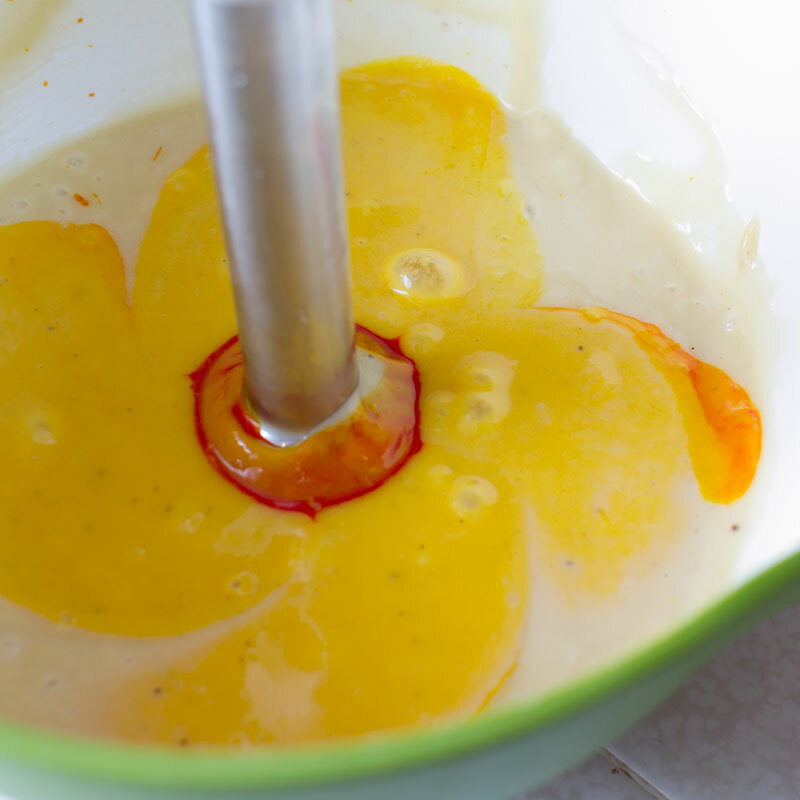 Add in 1/2 cup of sugar, 2 tbsp corn starch, 1/2 tsp salt and 3 egg yolks and blend until completely incorporated. Alternately, you can use a blender for this process. Place the banana cream mixture in a medium sauce pan. Prepare the gelatin by placing 2 tbsp cold water in a small bowl. Sprinkle the powdered gelatin over the water and let bloom - about 2 minutes. Set aside. 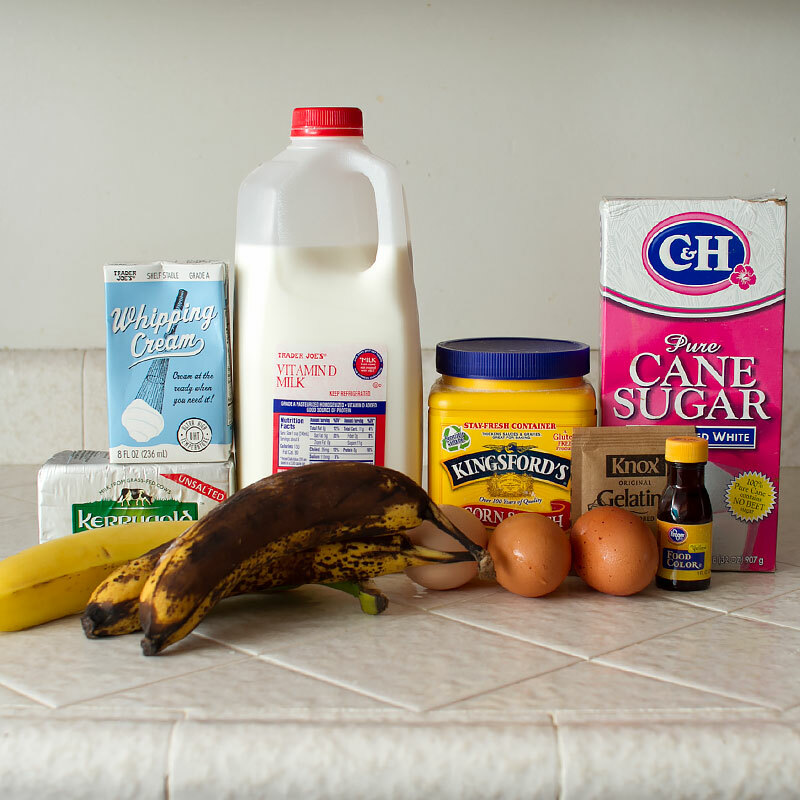 Place the banana cream mixture over medium-low heat, whisking constantly. As the mixture heats, it will begin to thicken - don’t try to rush this process by turning up the heat, or you’ll end up with scrambled banana eggs (blech!). Once the mixture comes to a boil (you’ll see large bubbles appear on the surface), continue to whisk for about 2 more minutes to cook out the cornstarch. The mixture will look like thick glue. Place the banana cream mixture back into the bowl (or blender canister, if using), and add in the bloomed gelatin and 3 tbsp of butter. Use an immersion blender to blend until smooth. 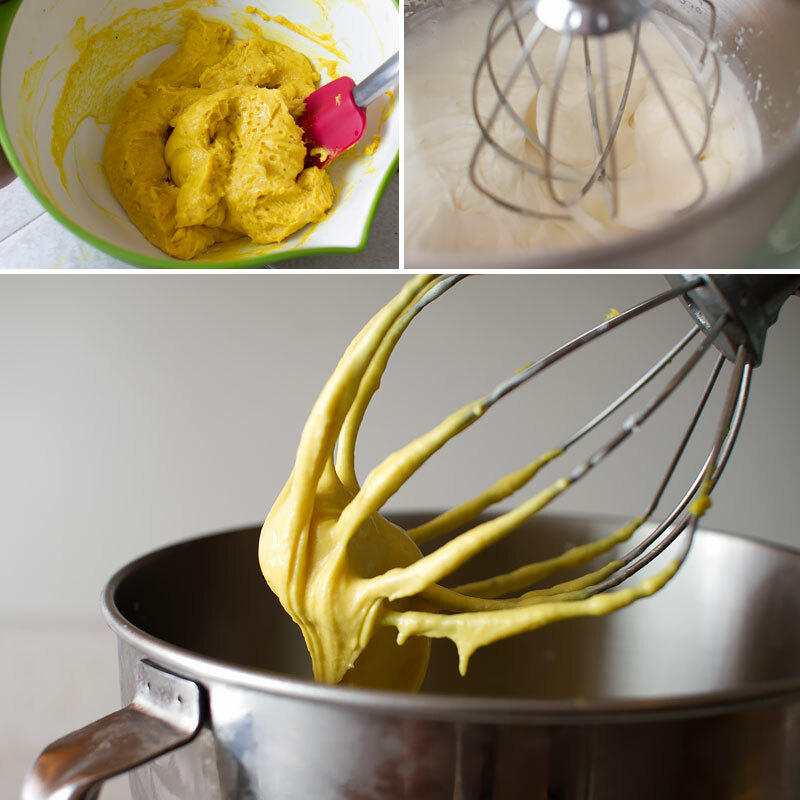 Add in 1/2 tsp of yellow food coloring. Cover with plastic wrap, making sure the plastic touches the surface of the banana cream mixture to prevent a skin from forming. 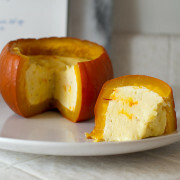 Refrigerate until completely cool, 45-60 minutes. 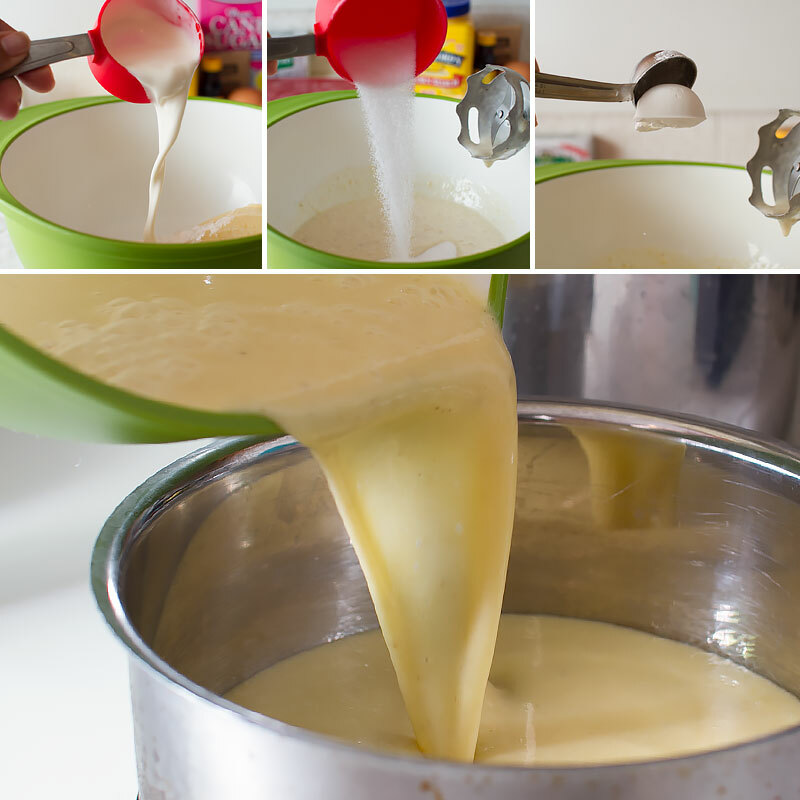 Once the banana cream mixture has cooled, start on the whipped cream by combining 3/4 cup of heavy cream and 1 cup of confectioner’s sugar in the bowl of a standing mixer, fitted with a whisk attachment. Alternately, you can use a hand mixer. Whisk the cream and sugar until soft peaks form - mounds of whipped cream should just hold their shape - taking care not to overmix (or you’ll end up with butter). Add the chilled banana cream mixture to the whipped cream and slowly whisk until combined. 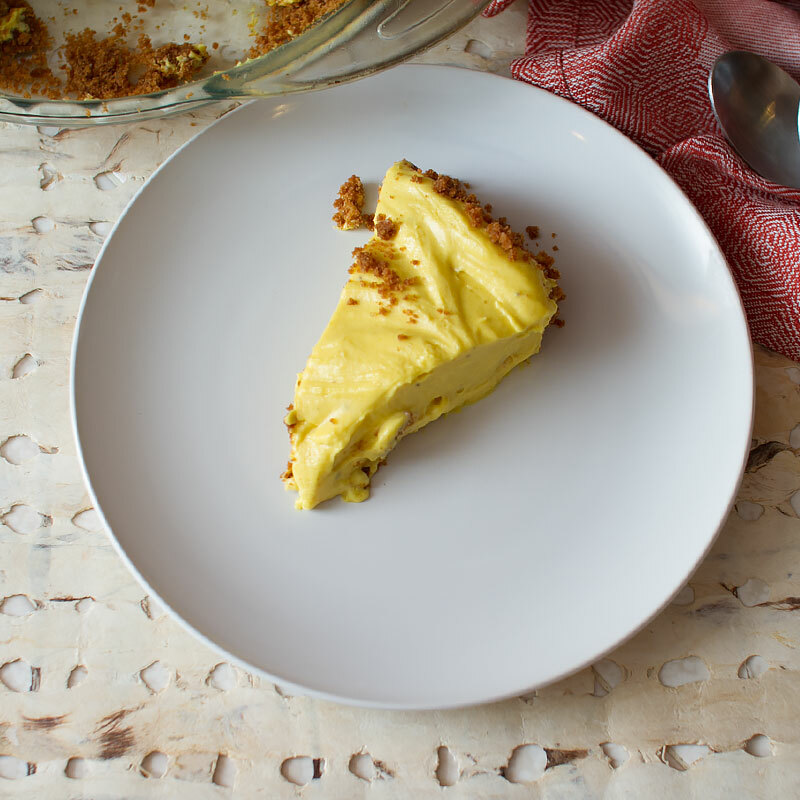 You should have a pale yellow banana cream filling. 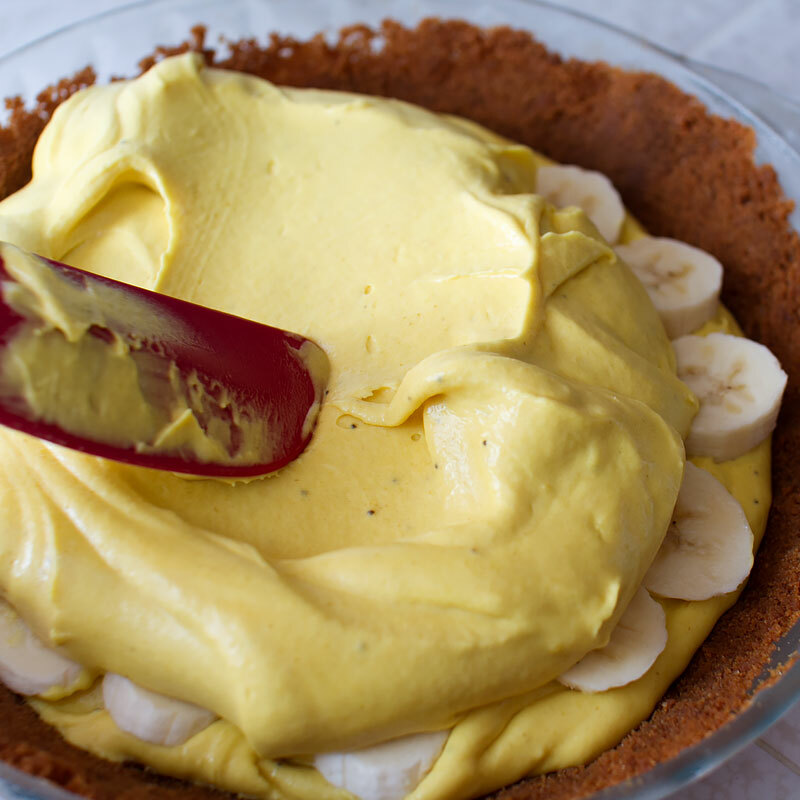 Pour half of the banana cream into the speculoos pie shell. Slice the remaining perfectly ripe banana and cover the bottom layer of cream. Cover bananas with the remaining cream filling. Eat within a day (that shouldn’t be a problem). Holy banana cream pie! We love banana cream pie and I would eat half of this! 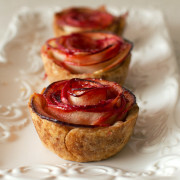 Love the idea for the crust. I bet, it just tastes awesome!